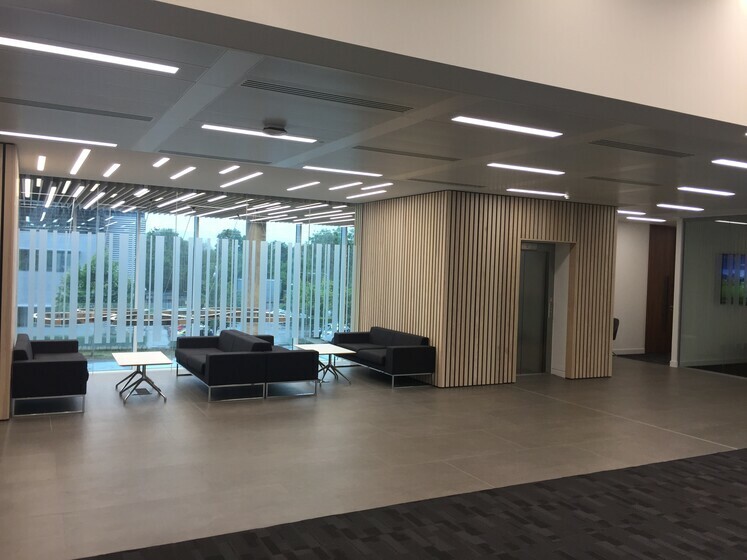 The fit-out of a high quality new build shell and core science park building for an international pharmaceutical company. 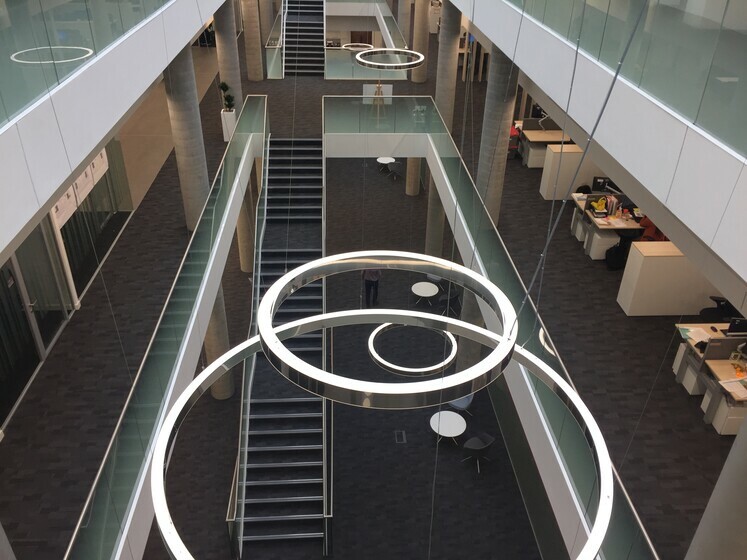 Atelier Ten undertook the full duties design of the MEP services to provide an impressive new office facility for Gilead Sciences. 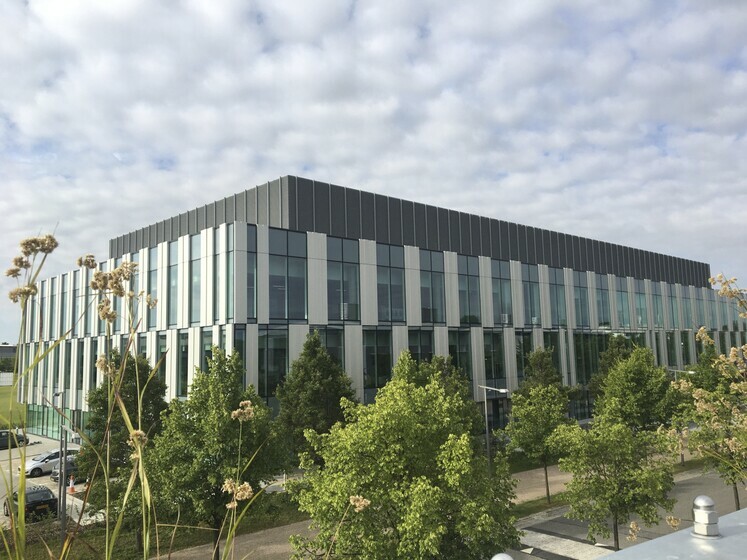 This was the fourth such project undertaken for this Client, underlining our focus on collaborative working and building strong relationships. 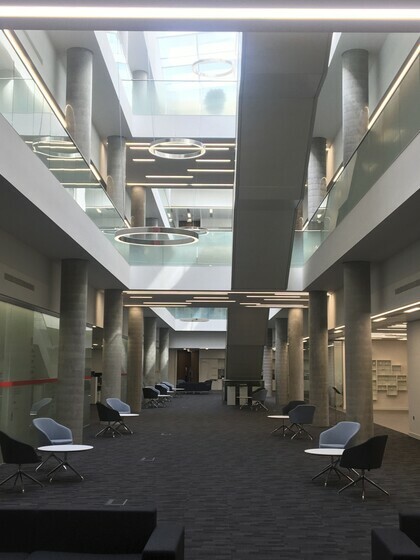 The three level building features a dramatic central stair core which affords both access and daylight deep into the office space. It includes a circa 250 cover restaurant, an extensive IT provision, and multiple showers and cyclist facilities. A 300kw vehicle charging scheme is included, together with roof-mounted photo-volatics. There is a large meeting suite, with fully integrated audio-visual services throughout. 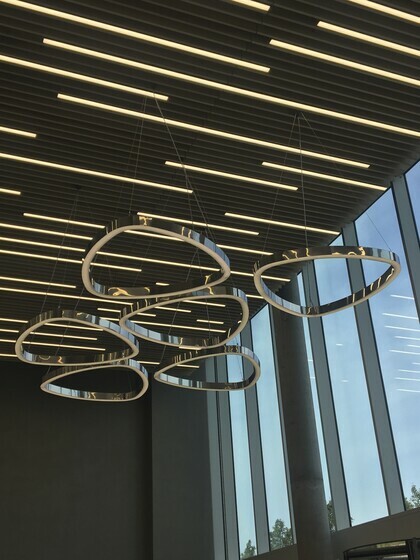 The office areas benefit from a bespoke luminaire design, which affords an installed lighting power density of 4.5w/m², while at the same time creating a pleasing working environment. The development achieves a BREEAM for offices 2014 score of ‘Very Good’.